Thanks Gemma from Gemma Best Art who popped over today to donate these beautifully framed limited edition prints from her collection to the Eireball Auction. Much appreciated Gemma. 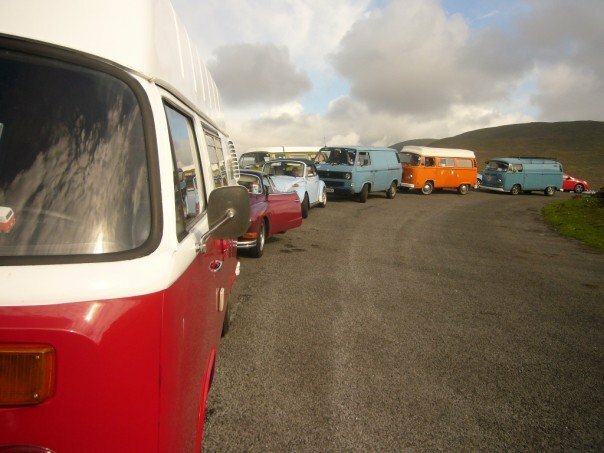 Thank you to Paul from Vantopia who has donated a voucher for €150 towards the cost of a gearbox rebuild with Vantopia. A quality service dedicated to keeping your VW on the road whether it be a bay 2WD or Syncro so you can realise your Vantopia! Thanks Emer and the Six O'Briens, 2 beautiful stools for the auction. Vantastival Music Festival Ireland. Three stages of live music & entertainment plus a range of fun activities focusing on the campervan lifestyle. Check out Claire & Greg, Eireballers when they're not Eireballing!! Congrats guys and love the single, We knew them before they were famous!! !